Tenrod Australia has released its new digital video recorder module. 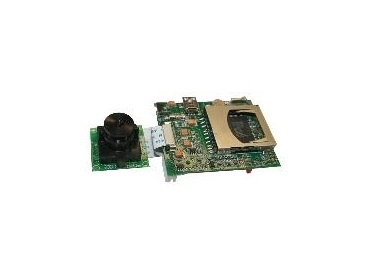 The DVR623 is an easy-to-operate, low-cost video and still capture recorder which is available in module form. At the same time, the DVR623 can provide a live output to a TV monitor from its mega pixel camera and it also has full on screen menus. The DVR623 is without enclosure to provide versatility for installing into tight spaces or into enclosures of the user’s choice. The DVR623 requires only a single DC power source to operate the whole system. The recorder would find great use in continuous monitoring of a place or processes that needs to be analysed for research or for development or for troubleshooting. The memory storage and playback facility will facilitate the data retrieval for this analysis. It will be worthwhile to note that when used with infra-red cameras, night-time operation would be most useful. The DVR623 is a low cost product made affordable for the general user who has a need to carry out a monitoring procedure over a problematic process or events. The DVR623 comes complete with wired camera and keyboard to make a convenient start to putting up a system. Small 4-inch TFT colour LCD screens are also available for use in conjunction as a small portable monitor.